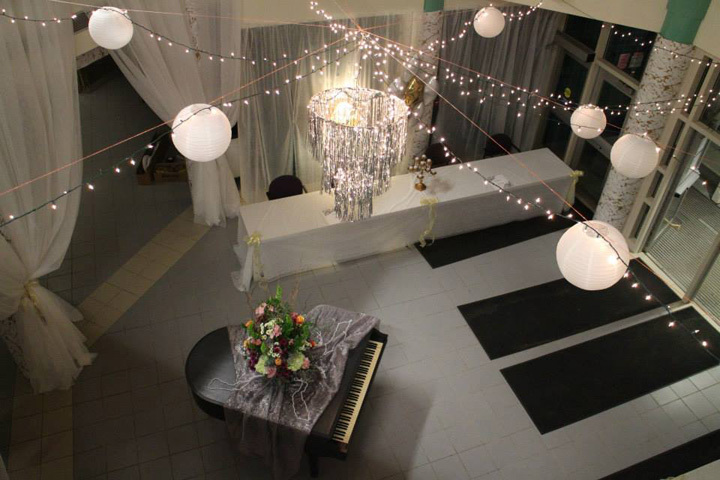 After Prom 2014 featured a Great Gatsby theme! Can you believe this is the front lobby of SHS? This year’s “Knight of Comedy (and Magic! )” will be held on Saturday, March 19, from 7pm until 10 pm at The Clubhouse Sports Bar and Grille at Sandwich Hollows, 1 Round Hill Rd., Sandwich, MA. The evening’s headliner will be comedian Jody Sloane. Five years ago Jody took a “stand” bringing her act to venues throughout New England. She has been a three-time contestant in the Boston Comedy Festival, performed in the Laugh Your Asheville Off Festival and was a Finalist in the Funniest Comic in New Hampshire Contest. Impishly perverse, her style is thoughtful, yet edgy; touching on age, divorce, and being raised by wolves. She’ll have you convinced that in the darkest corners of truth is comedy. The show’s opener is Darren Yong, who blends comedy with magic and has performed at New England’s hottest red carpet events and nightclubs, including Royale, Mantra, Bijou and Cape Cod’s Embargo. This year’s Knight of Comedy (and Magic!) 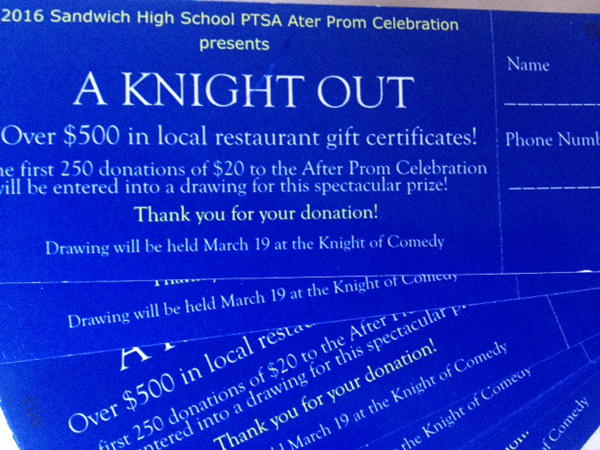 will also include the drawing for the winner of the “Knight Out” gift basket, a perennial favorite featuring over $500 in gift certificates at local restaurants. For tickets and more information, please contact Mary Jo Anderson at 1-508-539-3294 or Mary Jo French at 508-539-7050, or send an email to sandwichafterprom@gmail.com . Thank you for your continued support of the SHS PTSA After Prom!